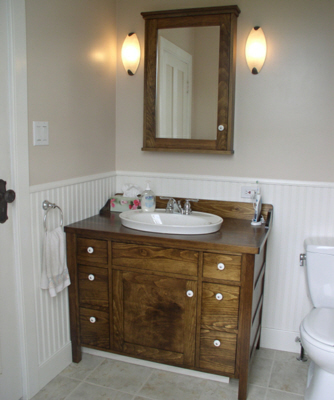 Stonehaven Washstand Vanity & Medicine Cabinet - Woodworking Plans Package! Save 20% when you buy the Washstand Vanity (SCP-1201) & Medicine Cabinet (SCP-1202) plans together as a package --- a $20.00 value when purchased separately! Note you must purchase this Plans Package #SCP-1203 to receive the discount.